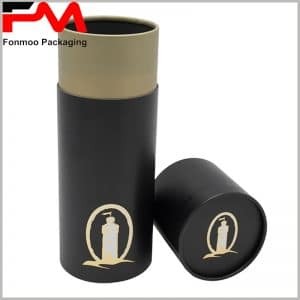 It is now a new trend to pack compressed clothing into tube boxes that is eco-friendly and it’s on this basis comes this Kraft paper cylindrical packaging box. As for ensuring a robust structure, the box is made by 250g cardboard paper, smooth in both sides, and Kraft paper covering the outer side. Without doubt, this packaging box is one among the conceptions of simplicity but the pattern on the surface is quite well-designed to be fashionable and attractive. Not only we put drawing cloth picture but also marketing tools like QR code for followers, you can also demand us to find a good solution to put other information on it. 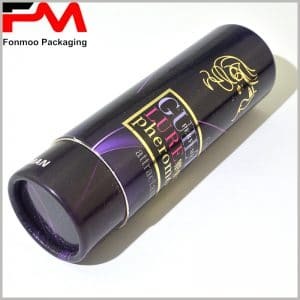 Manufacturing exclusively tube packaging boxes since long time ago, we have a whole team stand by to fulfill any kind of demand of our customers with best price and selling politics. Just get in touch and let us know your demand in detail and you can be sure to get your very Eco-friendly packaging box for clothing made with eco-friendly Kraft paper.